Founded by Jennifer Chert, the gallery opened in September 2008 in Berlin, Kreuzberg, in a former mechanic workshop. 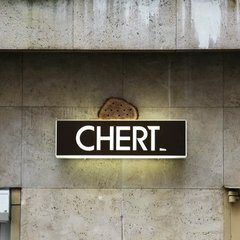 After eight years Chert relocated in a new space in the same neighbourhood. In 2016 Florian Lüdde joined the gallery as partner and the gallery changed its name into ChertLüdde. The gallery’s program focuses on international emerging artists, alternating solo exhibitions and curated group presentations. ChertLüdde explores a variety of different artistic practices, visions and media including sculpture, painting, photography, drawing, video, performance and installation-based work. The gallery engages closely with its artists in developing projects and in working on institutional exhibitions. ChertLüdde regularly takes part in international art fairs and dedicates a particular attention and passion to the production of artists’ books and catalogues.